In this article you’ll find the list of national liquors based on the Wikipedia list with some major or minor corrections (thanks to your input). A liquor is considered as a national liquor when the alcoholic drink is standard and respected in a given country. We specifically aim at liquors, otherwise it would have been the list of national drinks. It is of no surprise that there are many rums, whiskeys, raki’s and other interesting drinks amongst the national liquors. This list of national drinks is a good start but we need your help! We don’t know if this list is 100% correct. And more important it is not 100% complete. Therefore we’ll need your help. Let us know if you see any mistakes in the list of national liquors. We’ll be happy to correct them in our blog article and all the credits will go to you. For countries missing on the list, just let us know what your national liquor is. We’ll add it to the list and we’ll link your name to it as the source. Let us know if your country is not on the list or if something is not right. In our section “Meet the cocktail expert” we present some people in the cocktail industry you should meet… We kindly asked them to present themselves and to share their favorite cocktail with us. Cheers!! Alexander is living in Kiev, Ukraine. He is working for eight years as a bartender. He is the bar manager of Narikela HUB and HYPE Bar. 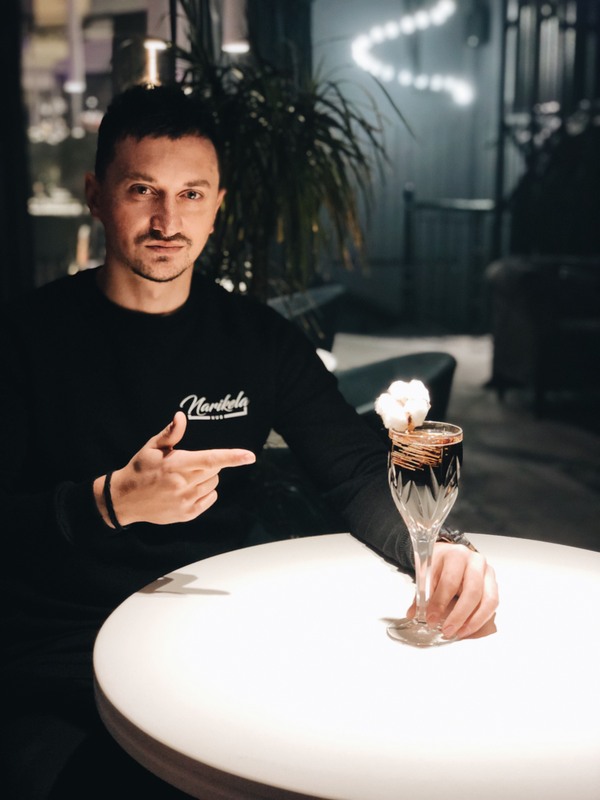 He is also to founder of the School Bartenders – FLAIR STYLE. He has been rewarded as the Ukarainian champion in flair bartending and as multiple winner in mixology. He’s favorite cocktail is the Scottish Hope. The history of this cocktail and the name are closely linked with the Scottish values and traditions of the Dewar family. Their life story, their perseverance and their confidence in their work inspired Alexander to create this cocktail. The Scottish Hope cocktail is stirred and served in a nice wine glass. Use some cotton to garnish your Scottish Hope. 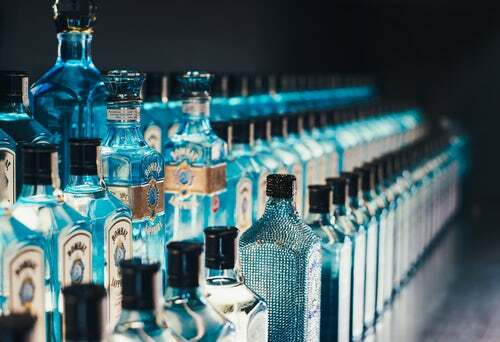 Although the English claim to have invented gin, it’s origin actually lays with the Dutch who started producing it in the 16th century for its “medicinal power”. 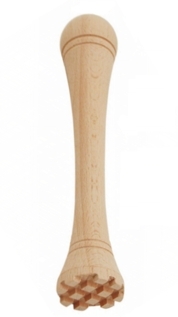 The name is also derived from the Dutch word “jenever“ which means “juniper”. The juniper berry is the prime component of gin giving its characteristic odor. Next to the juniper berries gin contains other ingredients which can vary per distillery. But ingredients most commonly used are angelica, licorice, iris root, citrus peel, caraway en coriander seeds. 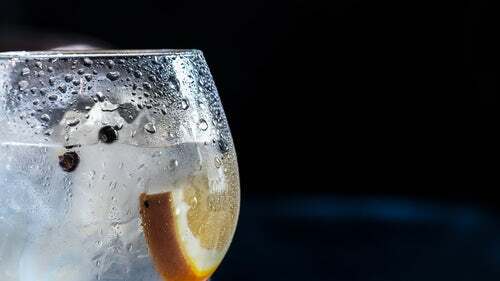 Gin has a strong aroma but despite that it suits well as an ingredient in cocktails. 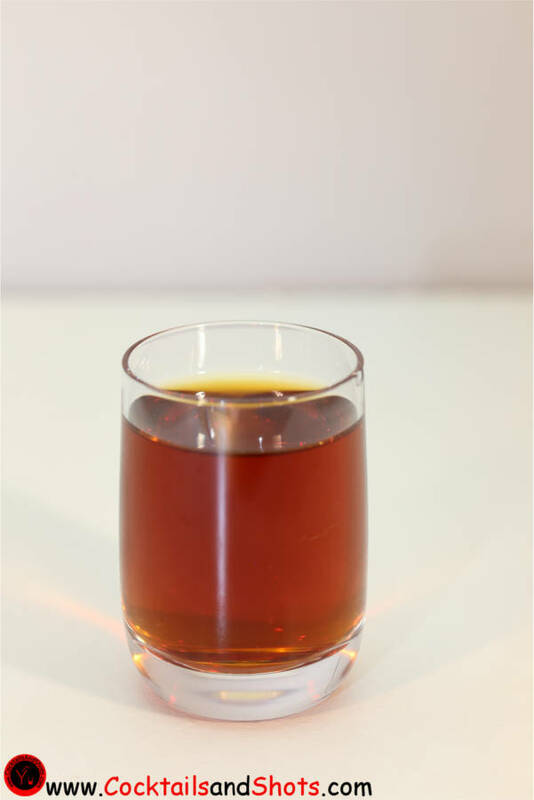 This is due to the fact that it’s colorless and has an aroma of herbs and spices which mixes well with liqueurs, juices and other distillations. From a legal point of view there are 4 gin categories. Juniper-flavored spirit drinks which are produced by pot distilling a fermented grain mixture and re-distilling it with herbs and spices. Compound Gin is a juniper-flavored spirit made by simply adding juniper and/or other natural flavoring substances to a neutral gin. Distilled gin is produced exclusively by re-distilling ethanol of agricultural origin with an initial strength of 96% ABV in stills with primarily juniper berries and other optional natural botanicals. London gin is made exclusively from ethanol of agricultural origin and with a maximum of 5 grams methanol per hectolitre which is introduced through the re-distillation in traditional stills of ethanol together with the juniper berries and all other natural plant components used. In Europe the minimum required alcoholic strength is 37,5%. English gins are around 45%. The main types of English gin are London Dry gin and Plymouth gin. London dry gin is the most famous of the two and doesn’t necessarily needs to be produced in London as its name would suggest. 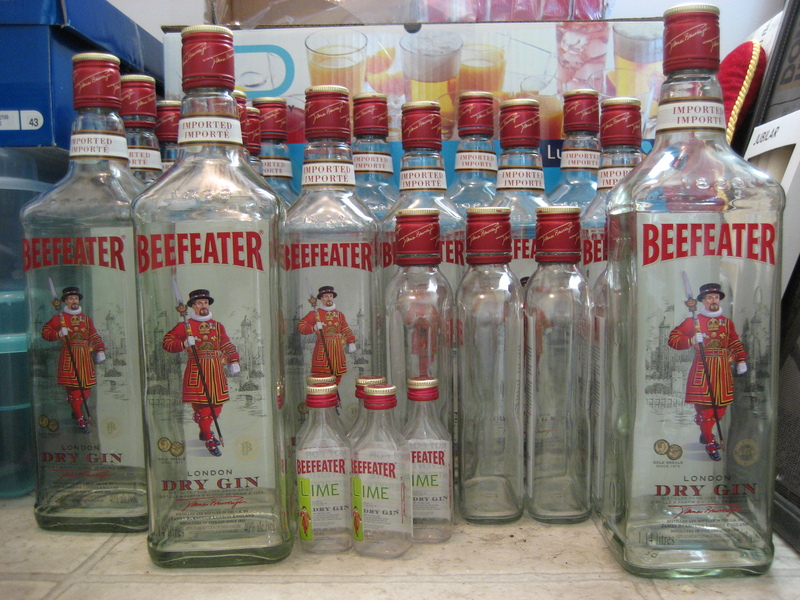 They have an intense flavor and Gordon’s and Beefeater are the best-known brands. 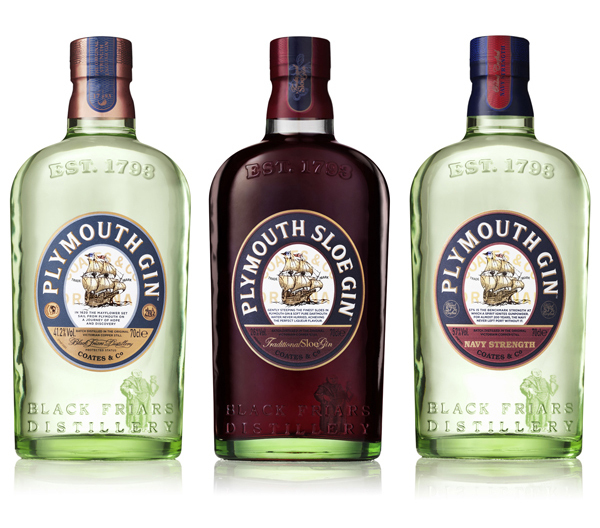 Plymouth gin is distilled at the Blackfriars distillery at the coast of Plymouth. It’s a full-bodied gin with more subtle aromas and it’s dryer then the London dry gin . 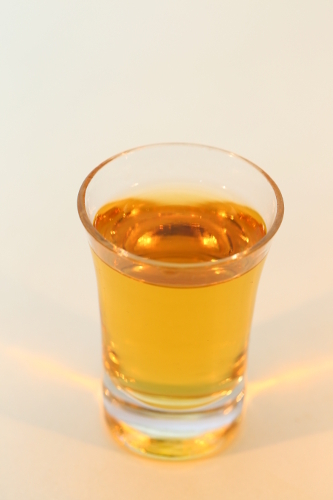 A small quantity of the gin ages on wood and is called “golden gin” due to its color. Dutch gin or jenever varies from English gin due to the mixture of heavily fermented grains that’s being used. This results into a more beer-like taste. There are two types of jenever: old and young jenever. The young jenever resembles the English gin most. 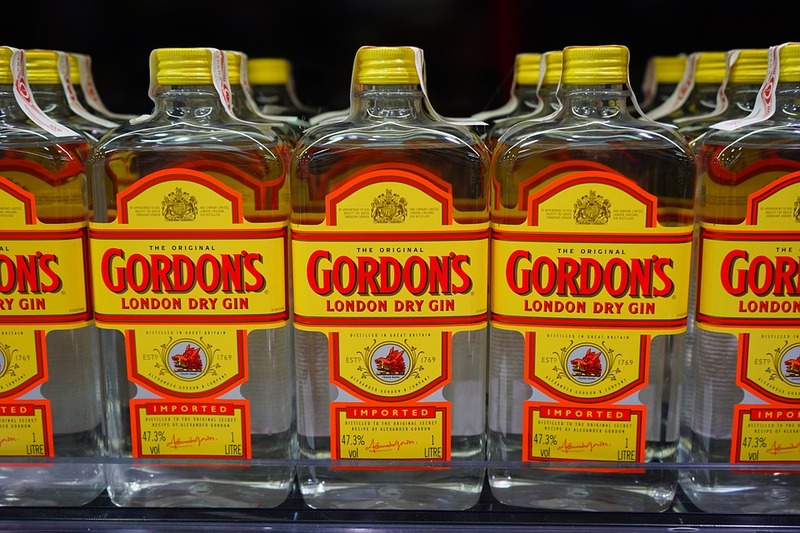 What’s the difference between English and American gins? 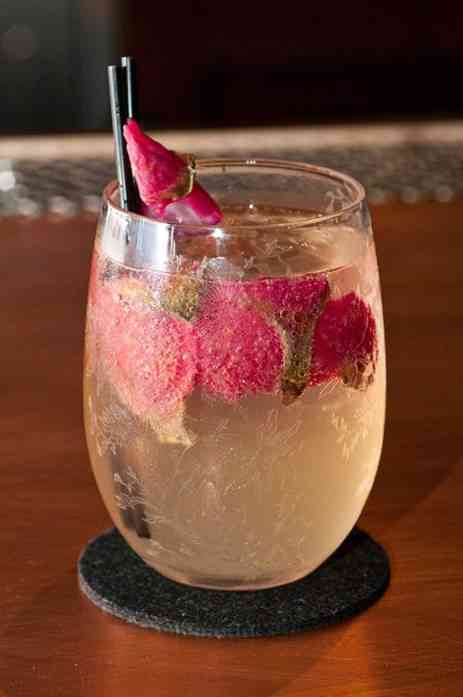 American gin tends to have more floral and fruity aromas. These more fragile flavors can get lost in a cocktail mixed with liqueurs and bitters. That’s why the stronger English gins are preferred in cocktails. The minimum alcoholic strength for American gins is 40%. Gin is quite simple to make. A grain distillate is made from rye en barley while wheat is used for jenever or American gin . The gin gets purified by means of repeated distillation. The aromas are added by soaking the berries, dried herbs and spices in the alcohol or by letting the alcohol drip through the ingredients. The result is bottled and ready for consumption. Gin in some famous cocktails. 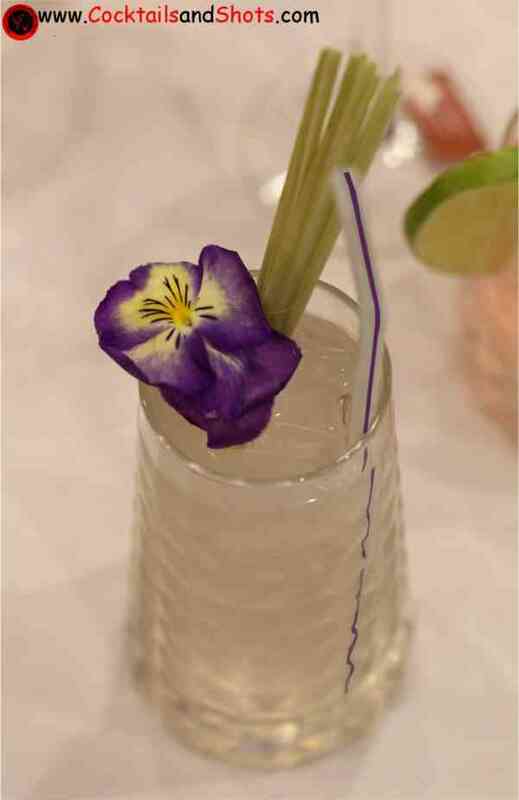 Besides gin and tonic there are some other cocktails that you should try like the famous Martini, the Gin Fizz which has an acid taste due to the lemon, the Negroni with its bitter taste, the Gimlet made with Plymouth gin or the Singapore Sling. 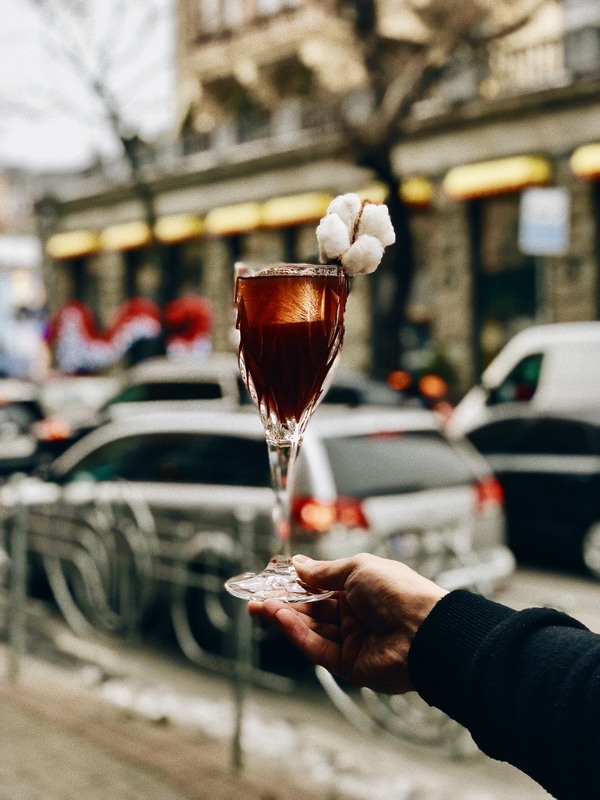 Difference between liqueurs or liquors? You might have asked yourself one of these questions: what’s the difference between liqueurs and liquors? Are liqueurs and liquors the same? Well, liqueurs are sweet while liquors are not. That’s the easiest way to remember the difference. Now we’ll explain it a little more technical. Whiskey, tequila, vodka, rum and gin are (distilled) liquors. A distilled liquor is obtained by the distillation of fermented fruits, plants or grains. Fermentation is the process where yeast transforms carbohydrates (= sugar) into ethanol (= alcohol), carbon dioxide and energy. 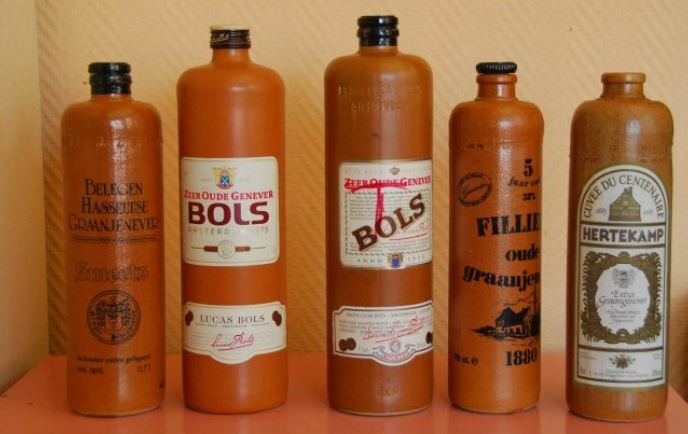 Distilled liquors are alcoholic beverages in which the concentration of ethanol has been increased above that of the original fermented mixture by the method of distillation. Distillation means that when a liquid which contains ethanol is heated to a temperature above 78.5°C but below 100°C (the boiling point of water) the vapour coming off that liquid condenses. That condensate will have a higher alcohol concentration. 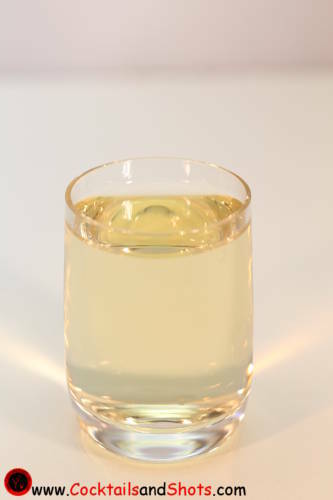 To come to liqueur, liquor is used as a base spirit. 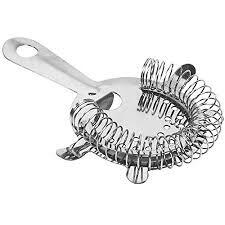 The liquor gets flavored with fruit, plants or grains and sweetened by the addition of sugar. The alcoholic percentage of liqueur can vary from 20% to 60% (40 to 120 proof) and it contains at least 100 grams of sugar per liter. 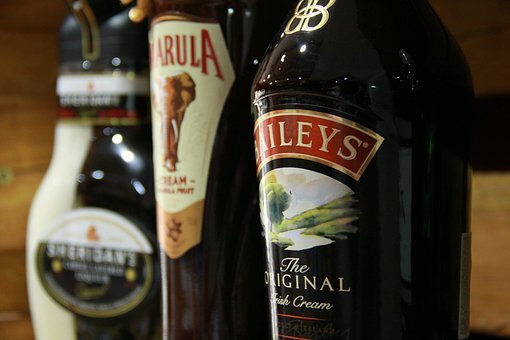 To talk about cream or crème, the liqueur should contain at least 250 grams of sugar per liter. Now you know everything about liqueurs and liquors. Arak versus Raki versus Araki versus Ariki… So me say that Arak was already made in India in 800 BC although that is not clear at all. Arak is not one typical drink but it stands for a collection of distilled drinks. The basic ingredients and the production process depend on the region. In Indonesia the basis for Arak is sugar cane although sometimes also rice is used. In India the juice of palm trees is the basis for making Arak. Arak arrived in the Middle-East and the Mediterranean area where it is one of the most popular alcoholic drinks. The name is based on the Arab word for juice. In the Western world, Arak is mostly known under the name Raki. The anis flavored distilled drink from Greece and Turkey. 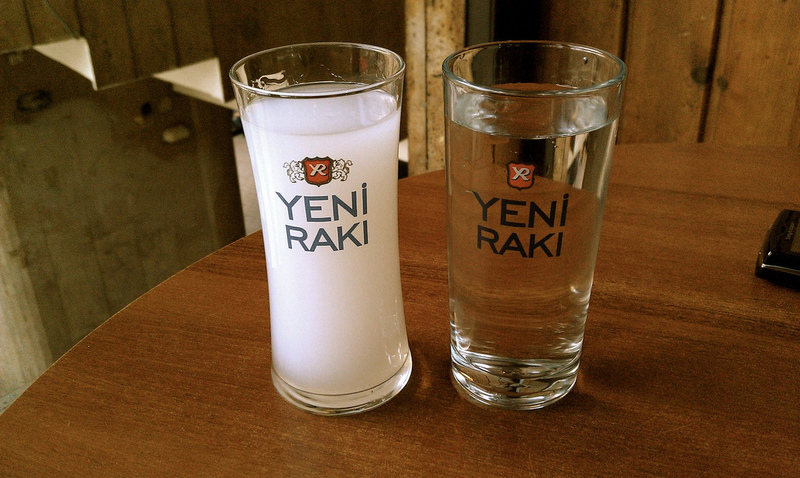 Raki is also known as the unofficial Turkish national drink. It is made from different fruits in different regions, but grapes, figs and plums are the main ones. Some of the colored Raki has a refined taste but most of the Raki is colorless with a strong taste. Raki is also very often drunk in the Balkan countries. 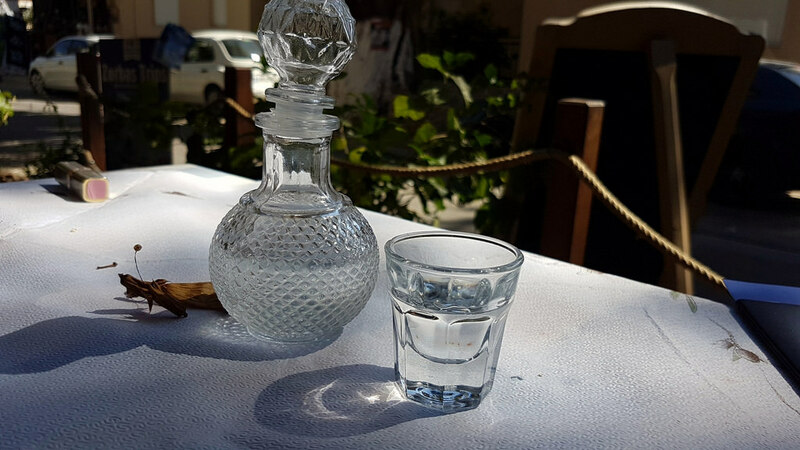 Arak or Raki is traditionally served pure: serve it on room temperature in a shot glass. But very often it is mixed in approximately 1/3 arak and 2/3 water and served in ice-filled cups. Some people also like the “Arak & Coke“, Arak mixed with coke and ice. We made a selection of some delicious and easy to make cocktails based on Arak and Raki. The complete list of Raki recipes can be found here. Arak Caipirinha: a little bit of Bali and a little bit of Brazil. The famous caipirinha based on Arak or Raki. All our Arak or Raki recipes can be found here. What do you know about your favorite cocktail? Some cocktails have quite a long history although it is often not easy to be sure if all the stories are true. Therefore we selected some stories behind your favorite cocktails. Urban legends or true stories? We don’t know to be honest. But at least you know what to tell next time you order your favorite cocktail. Vodka and orange juice. Can it be easier than that? One of the stories says that the screwdriver was born when workers started mixing vodka and orange juice with their… screwdriver. Yes! Other stories tell us that the screwdriver was a codeword to mislead federal agents during the prohibition. Also linked with the prohibition are the stories of unregulated production of alcohol. This lead to loads of low quality booze. Bartenders then started to mix fruit juices with the alcohol to mask the pour quality booze. This could have given birth to quite some mixed drinks. Another story tells us that the screwdriver was born when Smirnoff was building up their brand notoriety in the USA. The Harvey Wallbanger is in fact a combination of orange juice, vodka and galliano. It looks like it is invented in the 1950’s by Donato Antone. He has been a world champion mixology… So far for the facts and figures. 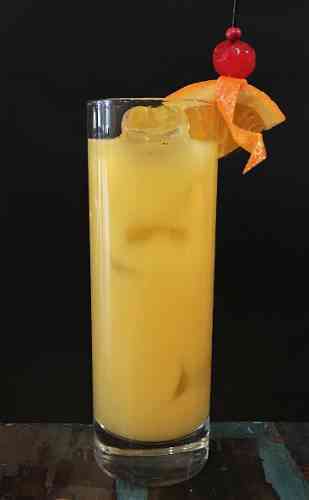 Another funny urban legend states that the Harvey Wallbanger gets its name from a surfer guy called Harvey. He came daily to the bar the have some screwdrivers to which he added some galliano. From time to time he then stumbled around smashing into the wall. People therefore started calling his favorite drink the Harvey Wallbanger. This story is hard to check but I prefer this one to the official one. The Bloody Mary is in my opinion the queen of the cocktails. Some people link the name of the cocktail to Queen Mary I who tried brutally and with a lot of bloodshed to bring back Catholicism to England… A terrible story! 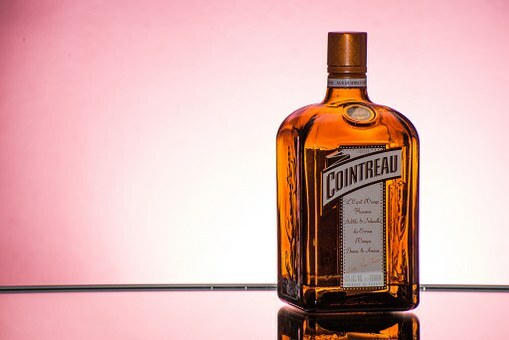 Although hard to trace the truth, a certain Fernand Petiot claims he invented the drink in 1921 when working at the New York Bar in Paris. In that time the Russian revolution brought vodka to Paris. Together with some tomato juice and some spices, the drink got some success and got known in America under the name Red Snapper. Why it then changes to Bloody Mary is unclear to me but maybe it really had something to do with the referral to the bloody Queen Mary I. 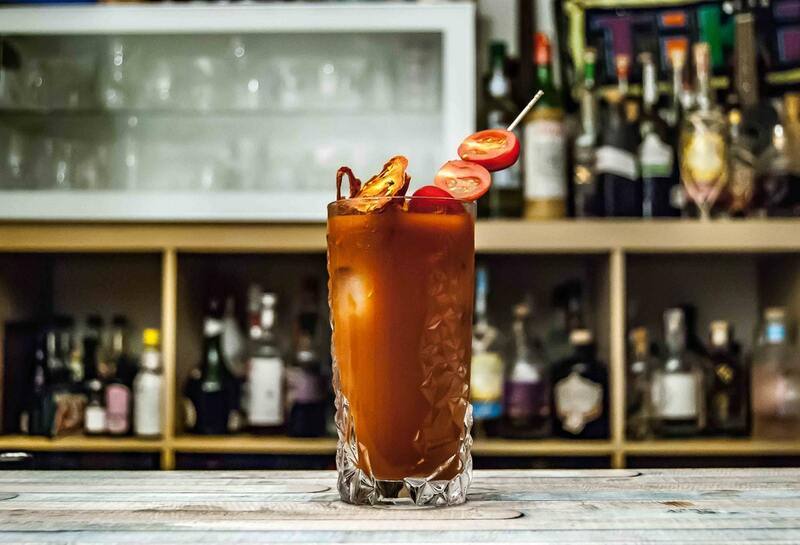 Who knows… anyway for those who don’t known yet, the Bloody Mary contains: vodka, tomato juice, lemon juice, salt, black pepper, cayenne pepper and Worcestershire sauce. I also tried versions mixed with a raw egg and I must admit I like them!! The origin of this cocktail goes back to the British soldiers who were fighting in the Indies. There they were confronted with another problem, called malaria. Tonic water was used against malaria because it contains quinine. The soldiers then added their gin to the tonic because the tonic alone was quite awful. After the war, the cocktail remained and nowadays we are witnessing a revival thanks to the gin hype. 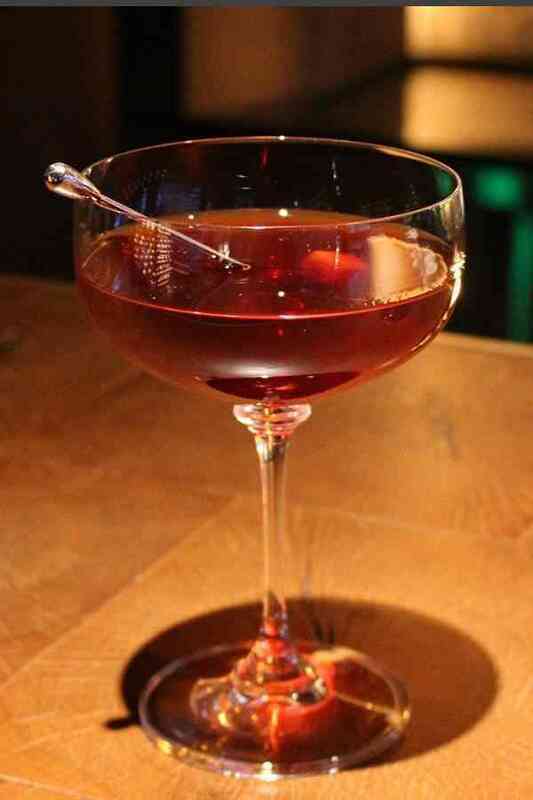 Sometimes the Manhattan is told to be invented by Winston Churchill’s mother. Jennie Churchill who was living in New-York at that time organized a party at the Manhattan Club celebrate Samuel J. Tilden’s. Some time ago in Ireland a flight was delayed. 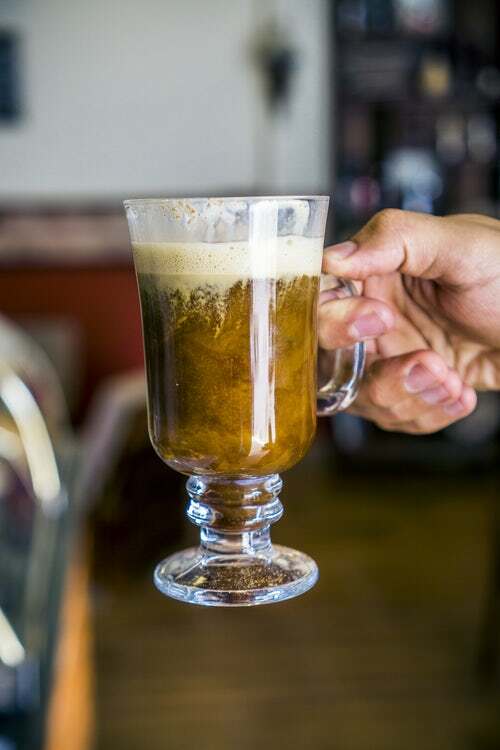 A bartender then had the original idea to add Irish whiskey in the coffee which would warm them up. The passengers loved it and spread to word. The Irish coffee was born… no mention of added sugar or cream at that time. These came later and added a special touch to the drink. The Mojito is a combination of rum, mint leaves, sugar and soda water. I heard that the original recipe was without soda water and I must admit I like it better without the soda. Just add a little sugar water instead of the soda. 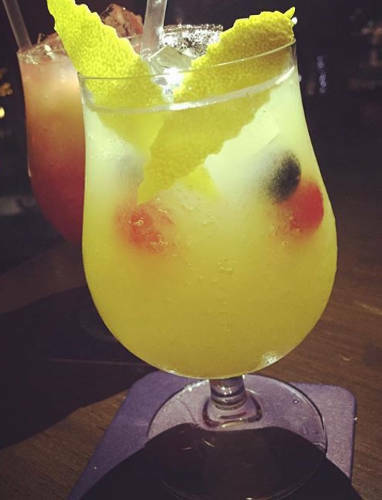 The history of the cocktail is quite blurry but it is a fact that it finds its origin in Cuba. 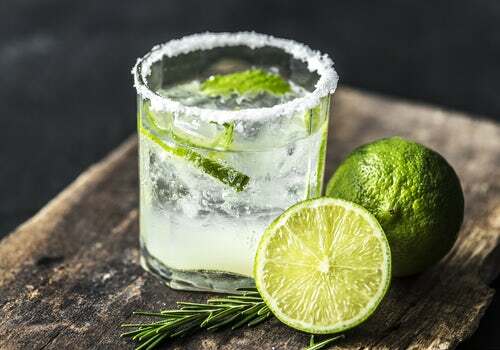 The Mojito also seems to have been popular within the sailor community because it was a good preventative against scurvy. Another story says that Cuban farmers did not like their rum at that time which was quite bitter Therefore they added lime, mint and sugarcane juice. Pokémons were very popular in the late 90s and the early 2000s and are now making a huge comeback in 2016 with the Pokémon Go app. Pikachu is Ash Ketchum’s trusted friend and pokémon. Pikachu has a yellow fur and red dots on his cheeks just like this pokemon cocktail has a yellow red mixture. This Pikachu pokemon cocktail has been made with vodka, peach liqueur and orange juice. To finish it we used a maraschino cherry. You can also add a straw and break/bend it like the lightning tail of Pikachu to give it some extra swag. Charizard is certainly one of the coolest Pokémons out there. Charizard is a Fire and Flying type of Pokémon and not a Dragon type. When a Charizard becomes angry, the flame which they have at the tip of their tail flares up. In the Charizard Pokemon cocktail we use a lime wedge to represent the tail and the Sambuca is perfect to create fire effect. Add some Triple sec and some dashes of cinnamon and you have your perfect Charizard mixed drink. 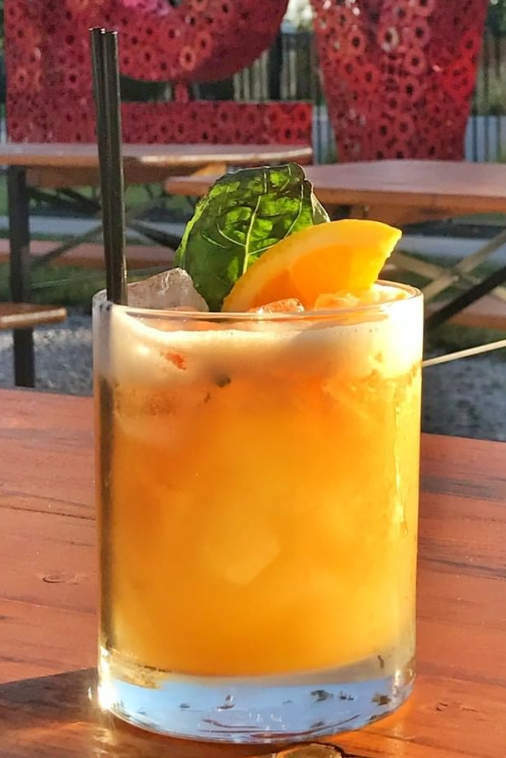 Check out the full Charizard cocktail recipe. A Vaporeon is a water type of Pokémon and is one of Eevee’s final forms. It has a long tail which is often mistaken for a mermaid’s. In our Vaporeon Pokemon cocktail this tail is represented by a lemon slice. 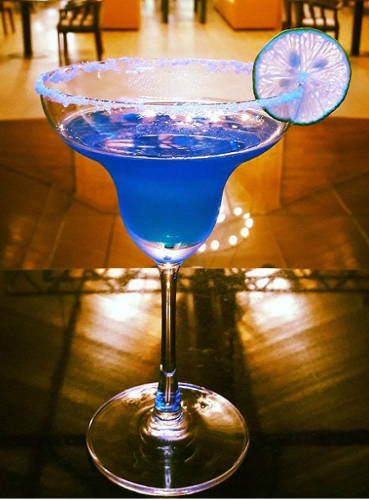 The Blue Curaçao gives this Vaporeon mixed drink its blue color. The Dragonite Pokémon is of course a dragon type. So obviously we used dragon fruit or pitaya to make the Dragonite cocktail. The Dragonite’s character and appearance can be described as gentle. So for this Dragonite mixed drink recipe we also used rose water and champagne. Click here for the full recipe. Gengar is a ghost / poison type of Pokémon with a dark purple color, spikes on his back and a sinister grin. 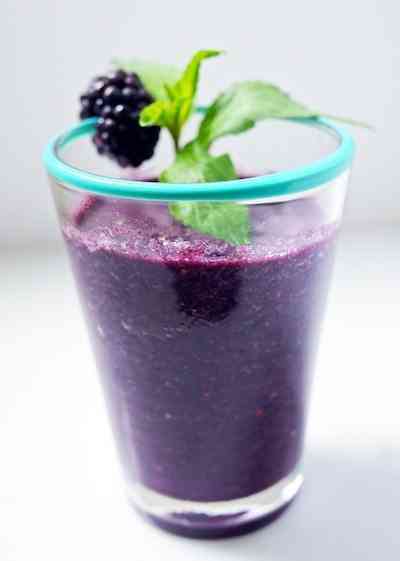 To obtain his color in the Gengar Pokemon cocktail we used blackberries. We garnished the Gengar drink with some mint leaves to represent his spikes and the vodka which we added will also give you a little, sinister grin. A Clefairy Pokémon is a fairy type of pokemon. And as many fairies they come in pink. What better way to give our Clefairy Pokemon cocktail a pink color than a dash of grenadine. The Clefairy is cute and charming so we made it in a nice cocktail glass and didn’t use too much alcohol. A Mewtwo is a psychic type of Pokémon with a grey body and a purple belly and tail. For this Memtwo Pokemon cocktail we used some vodka and sugar syrup to obtain the grey color. We added a purple edible flower to represent its belly and a purple straw. With the student season back on track it’s time to zoom into the most dangerous drinks around. Throwing a party? In for a drinking game? Or just want to get hammered asap? My all-time favorite killer shot! Whiskey meets jägermeister. The nice thing about the dead dear shooter is that is gets immediately into your head. Two means fun, four means danger and six or more… well just discover it yourself. I don’t remember… A really dangerous drink! The effects are comparable with the effects of the dead deer shot. Perfect for bourbon lovers. But take care, it remains a dangerous drink. I suppose some people also will call it the the dead turkey. This nasty bugger is a combination of vodka, white rum and dark rum. The guaranteed hangover comes along with it for free. I don’t know and I don’t want to know where the name comes from. But the fact is that this terrible drink is a mixture of jägermeister and rumple minze. The mixture of the jägermeister with the pepper schnapps will do the job. A really dangerous drink. 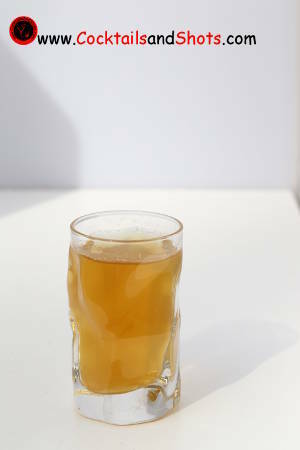 The name of this dangerous drink is derived from the recipe. It blends three types of whiskey together: scotch whiskey, tennessee whiskey ad kentucky bourbon. Brain damage guaranteed! Want to impress your friends with something nasty? Well put tequila and bacardi 151 together and you’ll have what is called a urine sample. Need I say more? Warm it a little bit up if you dare. 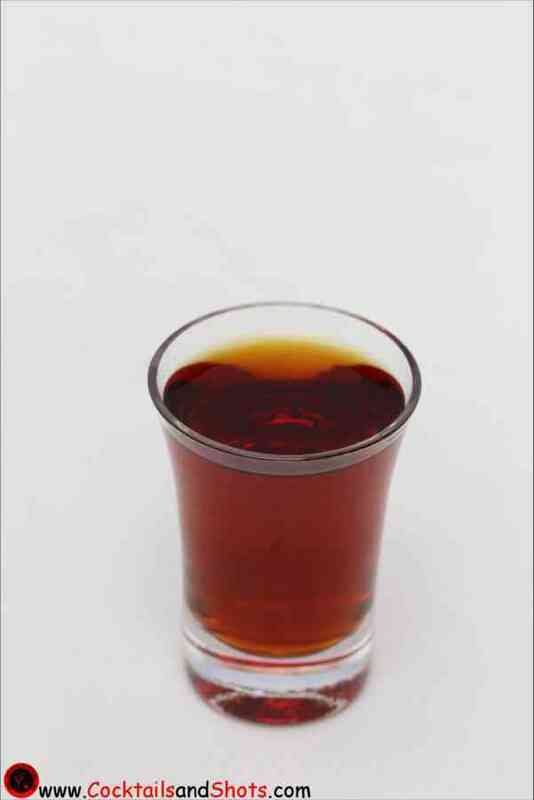 This shot leads to unbearable headaches, bad memories and hangovers as never before. 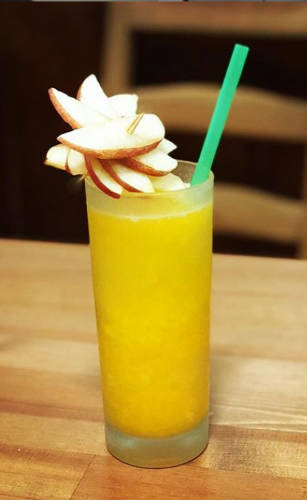 There are some famous cocktails based on orange juice like the screwdriver, the harvey wallbanger or the orange creamsicle. 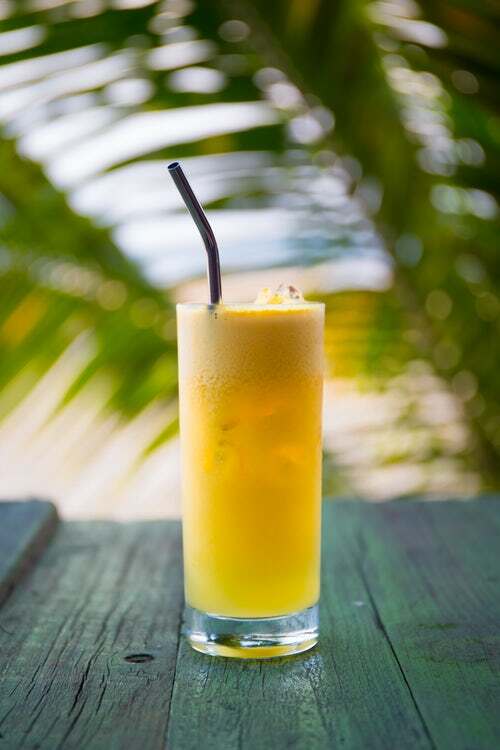 Orange juice is without a doubt the most used juice in cocktails. There are 4 major orange juice types that can be determined. But which orange juice should you use for your cocktails? The first one is concentrated orange juice. It’s made by dissolving dried fruit powder in water. It’s low in quality and taste and should be avoided. So using concentrated orange juice in cocktails isn’t a good idea. If you do decide to use pre-made orange juice then use brands which mention on the package that it contains fresh orange juice without pulp. These will approach the real deal better than the concentrated orange juices. An orange juice package should always mention if it holds concentrated or freshly squeezed juice. Buying freshly pressed orange juice with fruit pieces out of a carton has some disadvantages. 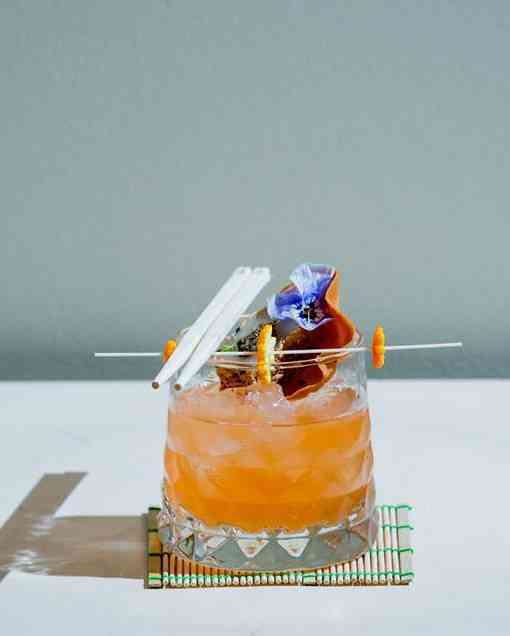 The pieces could disturb the balance of the cocktail because they interfere with other ingredients. The final option is squeezing oranges yourself. The juice will be thinner than that from a box. That’s an advantage, because the juice will blend easier with the other ingredients. Do try to filter the juice so no fruit fresh ends up in the cocktail. So we can easily conclude, that the more effort that’s been put in making the juice the better it’s suited for cocktails. So go that extra mile and make your own orange juice. Have you ever wondered how to make the perfect cocktail? You did everything by the book but still your cocktail is missing that extra touch? Maybe you did not respect some of the simple but really important rules when making your favorite cocktail. People often tend to forget them, that’s a fact! Most of these rules aren’t complicated at all, so a little reminder won’t harm at all. Use fresh instead of canned or bottled ingredients. Often bottled mixers will contain additives. Especially when using fruits or fruit juices it is best to use them fresh. Cocktails with only spirits have to be stirred. This will lead to a crystal clear and rich looking drink. 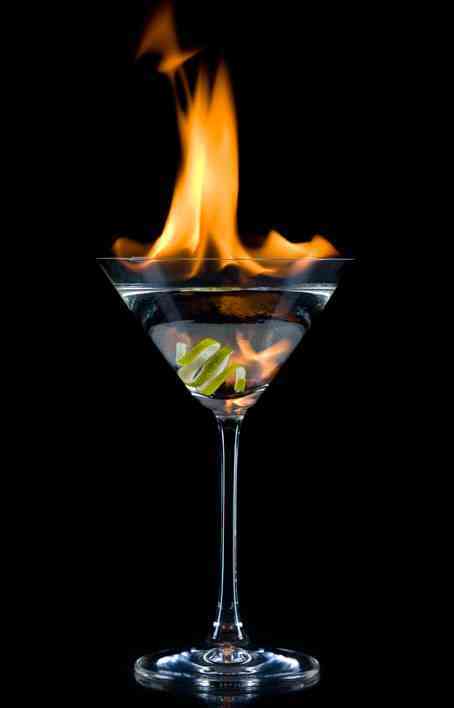 The most famous example is the Martini (yes, 007 got it wrong). But this also counts for the Negroni, the Manhattan and many others. Of course shaking your drink in that typical way makes you feel like a real professional bartender. I suppose that is way it is often so hard to respect this rule. A lot of cocktails are made of muddled mint, lemons or limes. If so, most of the times it is best to muddle lightly. This avoids you to release some bitter chemicals into the drink. The trick is to remain gentle, especially with the Moijto. Oranges should be used fresh in a cocktail. Once the orange is squeezed, it will start to go bitter. The longer you wait the more bitter they will get. Again a simple trick, just try it once with your Harvey Wallbanger. 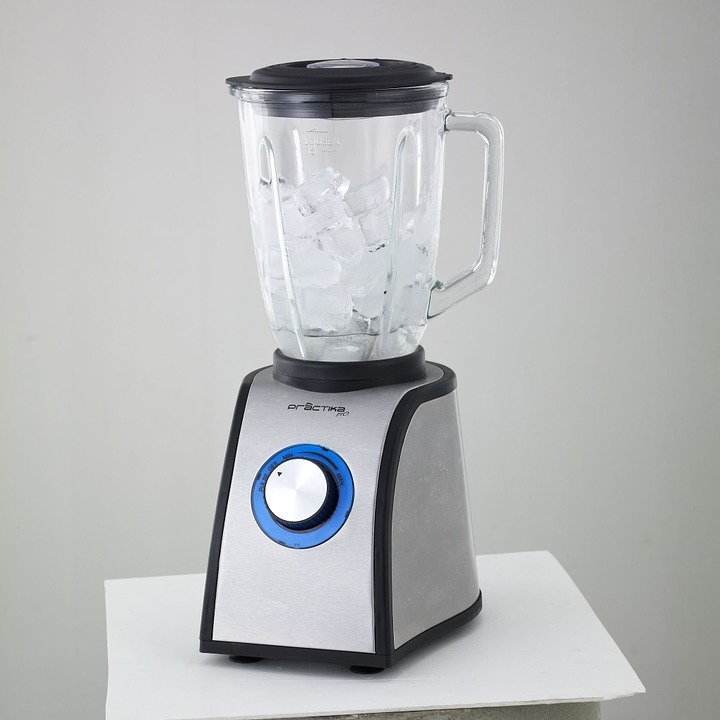 Blended drinks are made with a lot of ice. This dillutes the flavor and makes the cocktail a little watery. Therefore some extra suger should be added to flavor up your perfect cocktail. Sometimes i use some sugar syrup instead of sugar like in the Frozen Strawberry Daiquiri. When you make a cold cocktail, chilling the glass before will keep the drink colder for a longer time. Fill the glass therefore with crushed ice or cold water and dump it before you put your cocktail in. Also for warm drinks, you best first warm before filling it. Important if you want your cocktail to be really perfect. The final presentation counts for a large part of the cocktail. Need I say more. 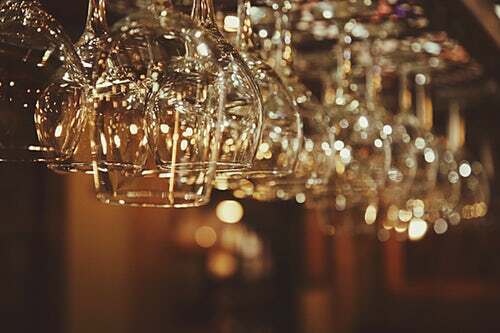 Learn more about cocktail glasses in our blog article. 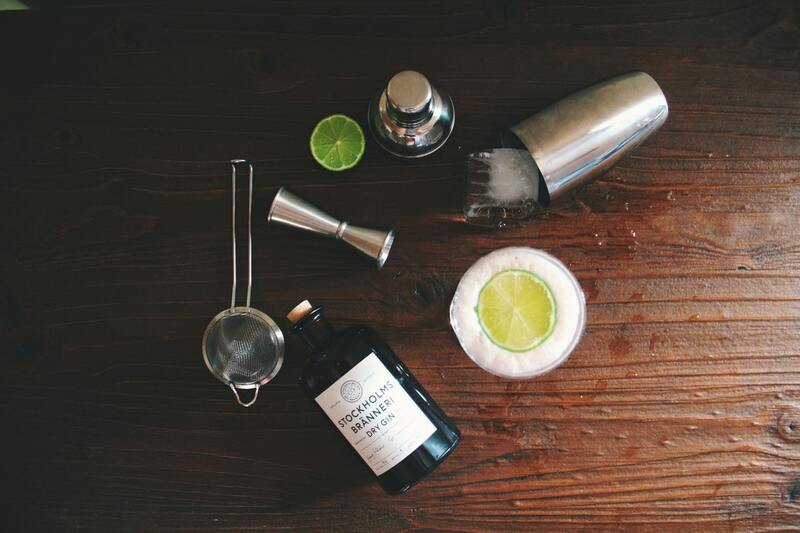 So don’t forget these rules when you want to create the perfect cocktail. 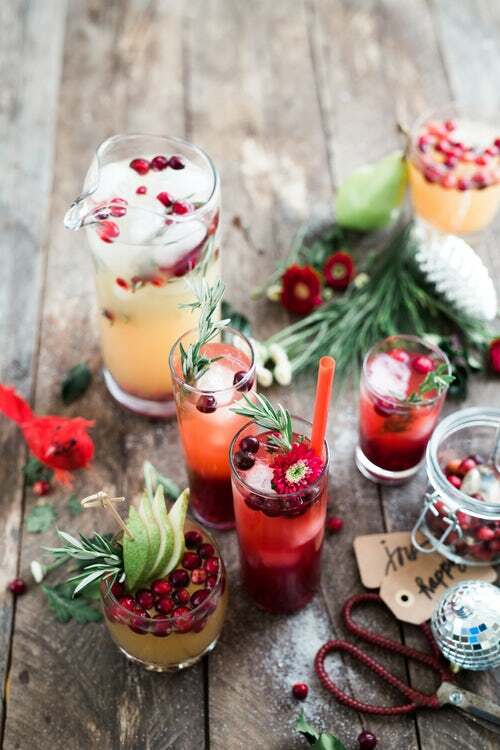 Do you feel like you so close to making the perfect cocktail? You got the feeling that the ingredients are right but something little is still missing? 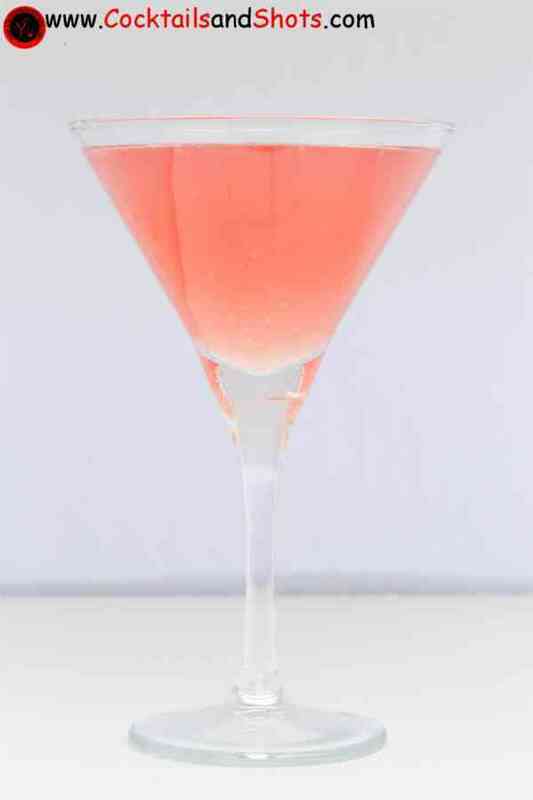 In our previous blog article ‘How to make the perfect cocktail’ we shared some basis but very important rules. Now you are ready for the next phase. 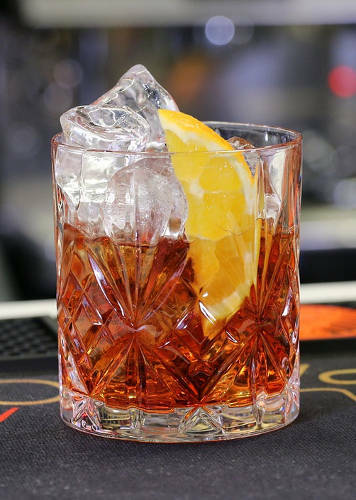 In this blog article you’ll find some new rules that should bring you very close to the perfect cocktail. When the cocktail comes with ice cubes then try to use big ones. They tend to melt much slower than smaller ones. This will make your cocktail less watery which keeps the perfect taste much longer. In another blog article we explain how you can make these ice cubes yourself. Lemon and lime juice aren’t interchangeable. They are both comparable when it comes to acid strength. They differ in the concentration of acid which gives another sourness effect. Don’t try to replace lemon juice with lime juice (or vice versa). It will ruin your perfect cocktail. Lemon and lime juices taste better when they age a little. They are best when they are left for about 4 hours. You best keep them chilled and bottled then. Some experienced bartenders never seem to measure their ingredients. 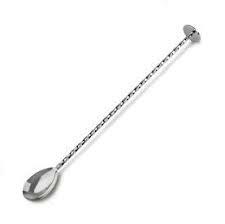 Don’t be blinded by this, they of course have the experience to know the time needed to pour in a certain measure. For some cocktails garnishes are really important. Without them the cocktail is missing an important essential part. 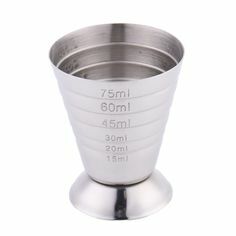 It often does not ruin the final drink completely but it will be hard to get your cocktail perfect. It’s not only about the presentation but the lemon, lime, orange or whatever garnish brings often that extra flavor and balance. Pimp your cocktail with a nice ice ball! In this b log post we will help you to transform even the most standard cocktails into a hip artwork. We’ll explain you how to make these fancy ice balls yourself. Ice balls are not only cool, they also melt slower than ice cubes. 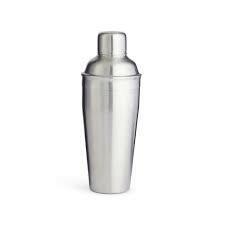 They keep your drink colder for a longer time but more important they will dilute much slower the taste of your cocktail? 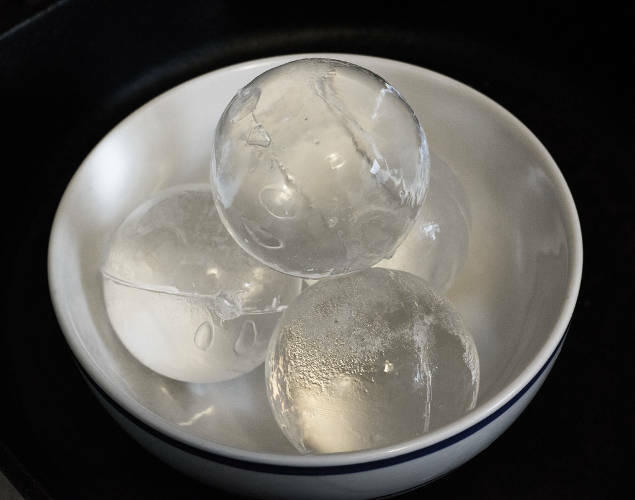 And last but not least, these ice balls are really easy to make yourself. How to make these ice balls? Fill the ballo on with water and close it. Don’t get carried away, make sure the ice ball will fit in the glass. Fix the water balloon on a stick and hang it in the freezer in such a way that it won’t lose its form. When you need an ice ball, take the frozen water balloon out of the freeze and cut it open. Peal of the rest of the water balloon and your ice ball is ready. Some people add some additives to the water or use other ingredients to give the ice ball another color or taste. Today we present you Sivakumar Mohanroop. Sivakumar Mohanroop is a home bartneder. Welcome to The Cocktail Room, your guide to craft cocktails at home, where Sivakumar Mohanroop,aka Roop, is your host. He is a home bartending/ mixology enthusiast. Join him in his misadventures behind his home bar from trying to recreate awesome cocktails, formulating quirky DIY alternatives to complex mixed drinks, investigating the intriguing lore behind iconic cocktail inventions, deciphering bartending techniques, crafting homemade syrups, shrubs, cordials and everything in between and all this without bringing the house down. The following recipe is one of his own creations. It is inspired from the Indian movie “Padmavat” and the Indian folklore behind it. Sivakumar Mohanroop’s favorite cocktail is he Courage of Padmavat cocktail. Wanna have a taste of Padmaavati before your see it in theatres, then stay tuned! Yes Padmaavati! A movie shrouded by so many controversies. But this video is not about that. But on the other hand we at cocktail room believe in the freedom of creative expression and feel that all works of creativity should be critiqued and not protested. Today’s cocktail is a tribute to the legendary queen so little bit of background on the legend. Padmavati was a Sri Lankan princess of magnificent Beauty. Our hero Ratan Sen, a Rajput ruler of Chitoor fort heard about her beauty from a talking parrot and went on an adventurous quest and won her hand in marriage. But dark times were ahead as the Sultan of Delhi, Alauddin Khiliji also heard about her boundless Beauty and launched a siege to Chitoor fort. During this devastating battle, our queen and her companions decided to sacrifice themselves by lighting themselves on fire to save their honor. Now muddle the peppers to bring a spiciness to the cocktail synonymous with the queen’s courage. 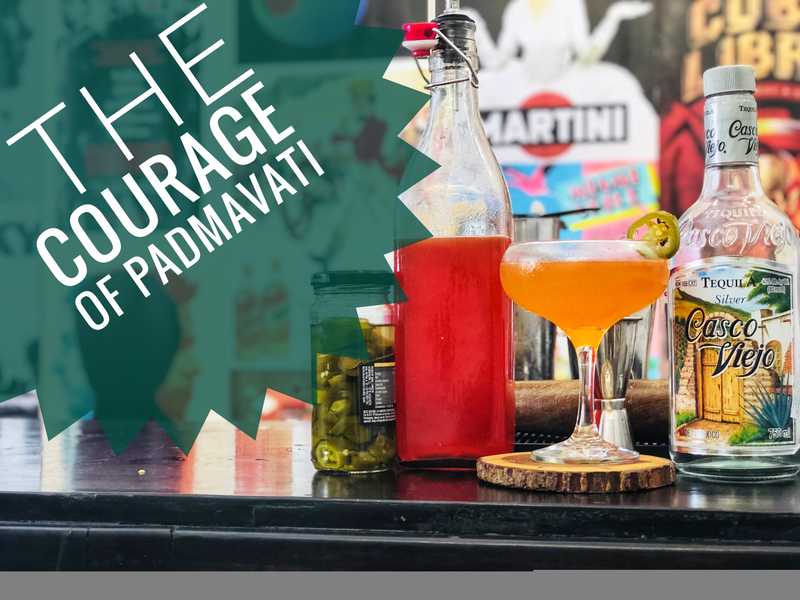 Add the tequila that is as feisty as Padmaavati followed by lime juice to balance the drink and finally to represent the sweetness and softness of our queen, the strawberry shrub. Add ice and SHAKE it! Double strain to your coupe glass. Garnish with a single slice of jalapeño and there you have it the courage of Padmaavati! A wise man once told me that a woman who orders a good whiskey or scotch in a bar is one of the sexiest things that can happen. Especially when she drinks it neat… It may be true, maybe because it just doesn’t seem to happen that often. However, most people don’t associate whiskey or scotch with a women’s drink. 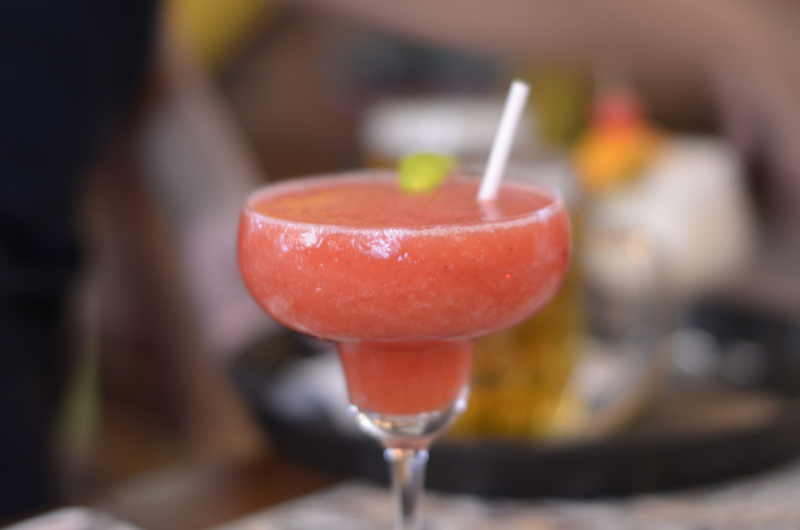 Women are thought to drink sweet and fruity creations. Why women don’t like whiskey or scotch… But is this really like that? 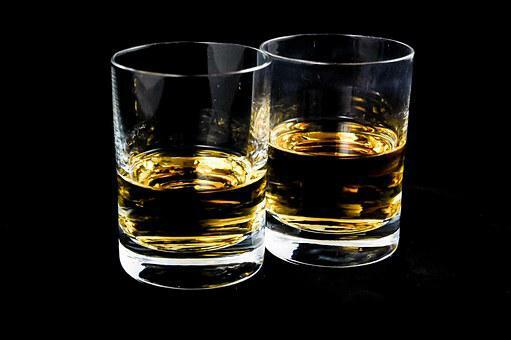 Some research shows us that in particular countries up to 30% of the whiskey and scotch drinkers are female. This could be true for one or another country but in general this percentage is estimated to be quite lower, 15% seems like a more realistic estimate. The fact that women don’t drink whiskey that often, can also be related to a sort of statistical explanation. Not only women don’t drink whiskey or scotch. Most males don’t drink or like whiskey or scotch either, especially neat. We all know that males consume far more alcoholic drinks than women. So if you would do the mathematics it is obvious why significantly more men than women drink whiskey. On the other hand this reasoning should lead to the same conclusion when it comes to drinking wine. And then this theory doesn’t really seem to be accurate. 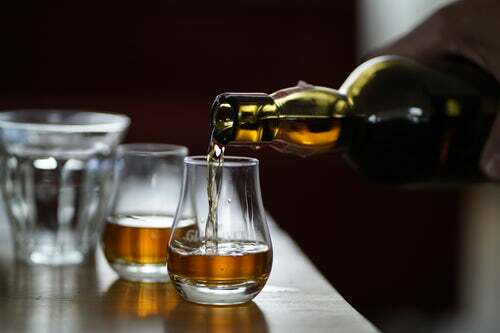 Whiskey and scotch are often considered as a niche product. They are not that known for mixing. Everyone of course knows the whiskey and coke but it is still quite unknown to the masses as a drink you can mix into classy and nice cocktails such as the Vieux Carré the Whiskey Fix or the Heather Julep. That is a fact we cannot deny… people have moved from neat spirits towards cocktails. The people have spoken and they want cocktails! It could also be the result of a certain social programming combined with the effects of marketing. Men drink beer, women drink wine. Men drink whiskey and stronger spirits, women drink pretty and sweet cocktails. When this is all people see or hear… we can speak of the self-fulfilling prophecy. A well-spread belief strengthened by some whiskey and scotch producer’s marketing campaigns solely focused on the male market. Again based on the larget market potential amongst male creatures. Reasons enough for women to start drinking whiskey or scotch… But take care, it’s totally different story when you order cheap whiskey or scotch!